Find a Forester or Request Your FREE Resources! Answer a few short questions below to connect to the resources you’re looking for. The questions below should only take a minute or two of your time. I would like to see if I qualify for a FREE on-site walk through of my property with a WDNR Forester and schedule a visit if I do I'm all in! I want to become a member of WWOA right now and receive my FREE My Land Handbook I'm still exploring the website and thinking about joining WWOA, but I would like to be sent a FREE inquiry packet (including magazine) in the mean time I'm ready to hire a forester right now! Thanks for your interest; we're so excited that you decided to become a part of the WWOA family! Please fill out the information below for your free copy of the My Land Handbook in a customized 3-ring binder. When you're done here please visit our page for new members and fill out a membership form. Membership dues can be paid online with a credit card or through PayPal or in the mail with a check. 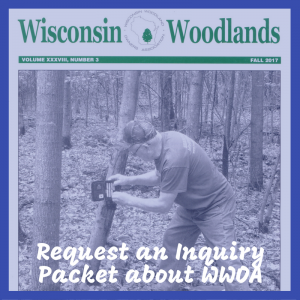 Your welcome packet will provide some additional resources, such as the latest copy of Wisconsin Woodlands magazine. Thanks for your interest in the Wisconsin Woodland Owners Association (WWOA)! Please fill out the information below and we will gladly send you an inquiry packet free of charge about joining WWOA . Your packet will provide printed materials to help you better understand what WWOA is all about as well as the resources and activities we provide to our members. A copy of Wisconsin Woodlands magazine will be included. Thanks for your interest! 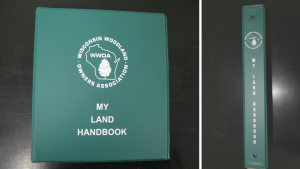 Please fill out the information below to see if you qualify for a walk through with a WDNR forester and a free copy of the My Land Handbook in a customized 3-ring binder. Even if you are ineligible, we will gladly send you other resources on growing your legacy free of charge. There are numerous private and industrial foresters in the state that offer a variety of services to help with caring for your woodlands. Visit the Forestry Assistance Locator, it lets you search for a forester by county. It also provides contact information and a list of services for each forester/company. Please share with us a little about your land so we know how to better assist you. Click here to add another property location. Please rate the following statements, so we can better understand the vision you have for your woodlands. 1 = low importance, 5 = high importance. What is the My Land Handbook and how do I get one? The printing on the My Land Handbook makes it easily stand out against other binders. The My Land Handbook was developed as a tool to help you communicate with your next generation or land mangers about your land and its history. It offers a place to keep all information regarding your land in one convenient location. The handbook was designed to capture the large details (like legal descriptions, tax information, and contact information of professionals that help manage the land) down to the small details (like where do you keep the tractor keys?) about your land. The intention of the My Land Handbook is to ease the transition when it comes time to pass on your property and to simplify the process of locating information about your property when filing taxes or applying to cost share programs. The My Land Handbook is a great tool to have in an emergency when you need to find information quickly, such as a natural disaster affecting your woodland or an unexpected death in the family. For that reason it should be kept in a safe location. 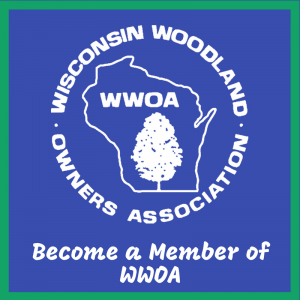 Become a member of the Wisconsin Woodland Owners Association (WWOA). Visit the Join Us page to sign-up in addition to filling out the form above. 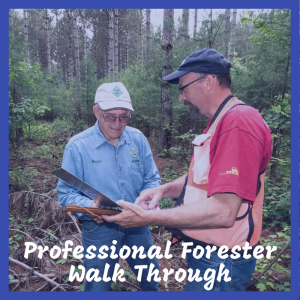 Sign-Up to see if you qualify for an on site visit with a Wisconsin Department of Natural Resources (WDNR) Forester by filling out the form above. 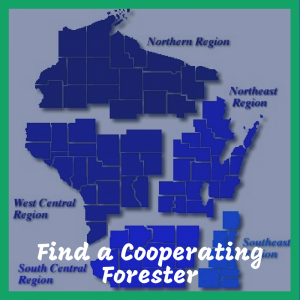 We will help connect those that qualify with the WDNR forester for their area of the state. You must complete the site visit to be sent your My Land Handbook. Those that don’t qualify for a visit will still be mailed alternate resources about Growing Your Legacy.